Since moving to Poland I haven’t been able to find good tofu, not that the tofu is terrible, it’s just not very good, or maybe I was just spoilt for choice in South Africa , with so many cultures rolled into one country you were always getting the best out of all the food. Instead of crying long tears about the lack of super yummy tofu, I improvised with another legume and one of my favorite staples around the house. Chickpea flour! 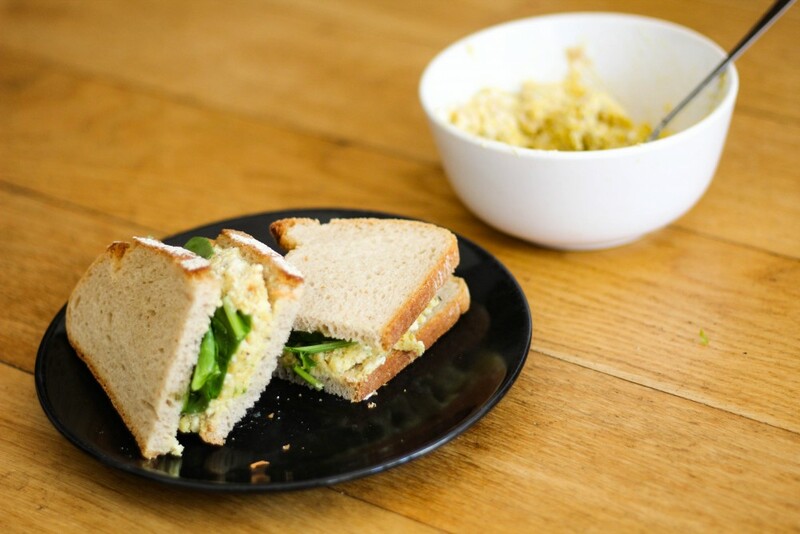 Chickpea flour is something I always have around the house. It’s the quick dinner dreamboat that saves plenty of meals. 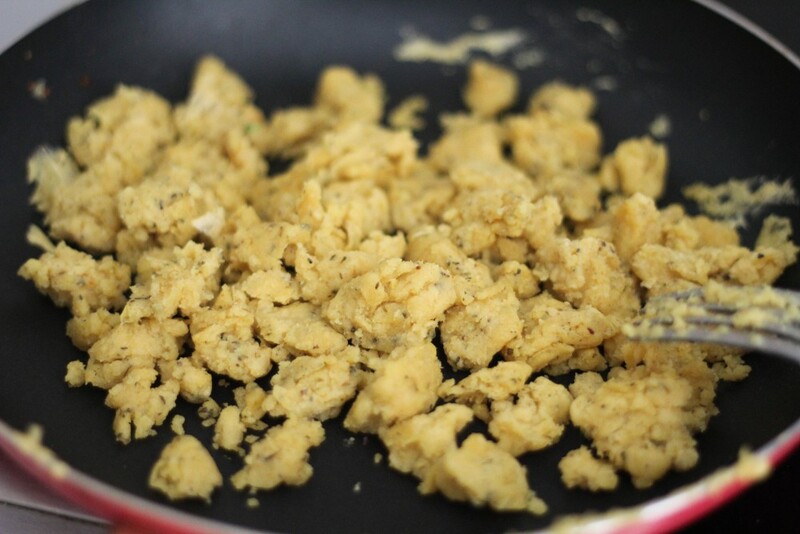 If I’m not making a chickpea omelette I’m making a frittata, but now I also have this chickpea scramble in my arsenal. Arren’s allergies have gotten so much worse since coming to Poland, and now reacts to soy, it’s kind of strange he doesn’t react to soy from South Africa or the States, but from Poland and Europe, maybe it’s something to do with cross contamination, but after so many reactions he’s off of soy. 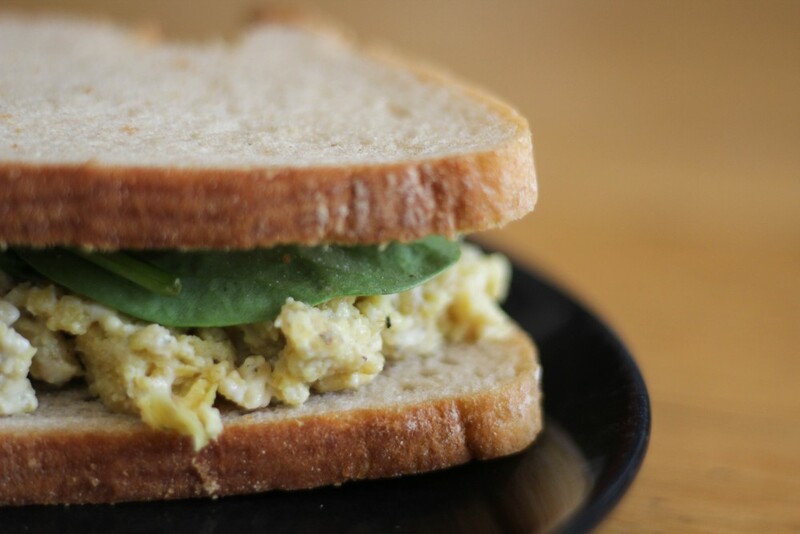 If you’re trying to avoid soy or have a soy and egg allergy this recipe is for you! 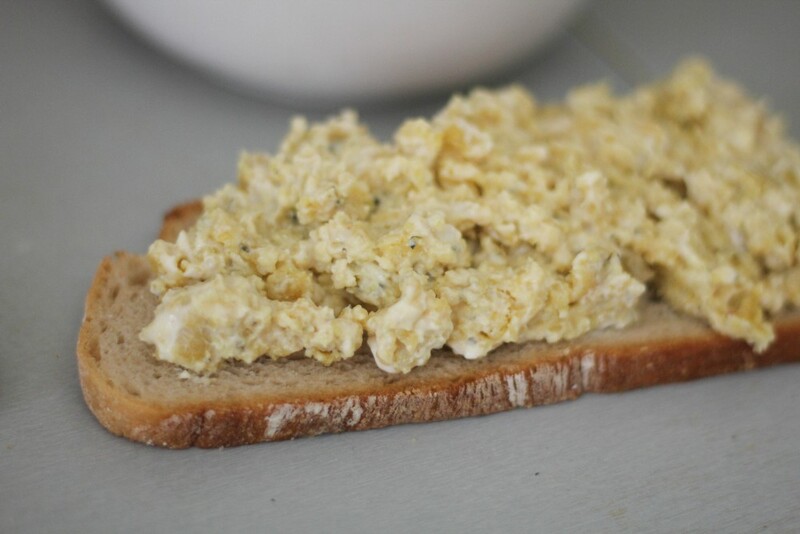 The eggy taste for this scramble comes from the salt kala namak, it gives the scramble that sulfury taste that resembles an egg, be warned it smells very eggy so remember to seal it back up after you use it. 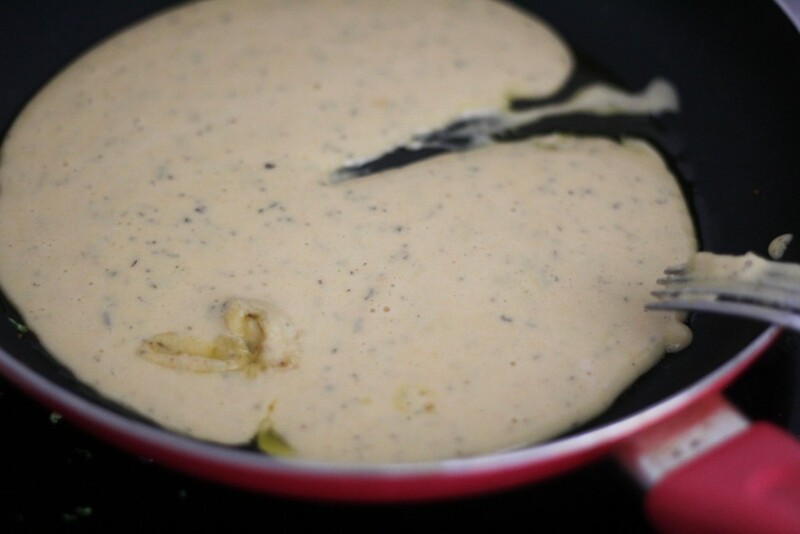 The main key to make this recipe a success is to use a good non stick pan, otherwise you will just have a horrible mess. The better the non stick pan the better the result. In a large bowl combine the chickpea flour, water,turmeric, kala namak, aquafaba, garlic powder, oregano and salt and pepper to taste. 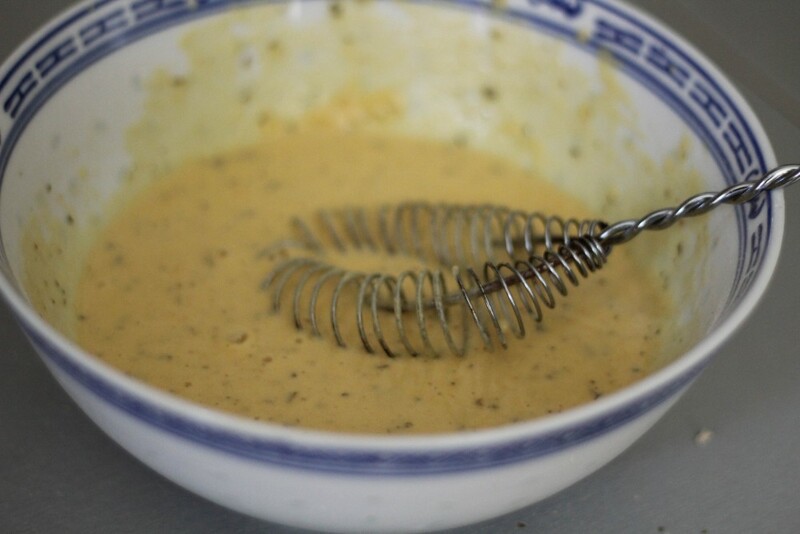 Whisk for a minute until no lumps remain. Heat a large non stick pan, over medium high heat. Add one tbsp of oil . Pour in the chickpea batter. Allow to sit for 3 minutes, until the edges begin to dry out. Scramble mixture, allow to sit for another 2 minutes, and scramble again, continue until the mixture begins to dry out. When done, remove from heat and allow to sit for 3 minutes. In a bowl mix the mayonnaise, pickles, green onions, salt and pepper, mix well. taste and adjust seasoning. Spread mixture on slices of bread with lettuce, I like to add a bit of sriracha for kick.